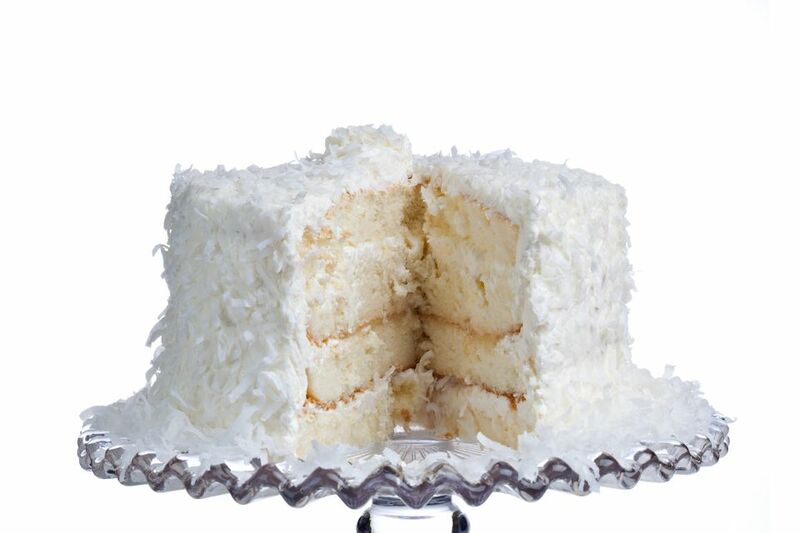 This coconut cake is made with coconut milk and shredded coconut for the ultimate coconutty taste! In Thailand, all the top hotels make their coconut cake with freshly-squeezed coconut milk from the local market. Here, we've replicated this idea using coconut milk and shredded coconut. Preheat oven to 350 F. Grease two 9-inch cake pans. To the yolks, add the sugar, salt, and melted butter or coconut oil. Beat to a smooth consistency (1 minute). Stir the baking powder into the flour, then add this to the yolk mixture. Add the coconut milk with the shredded coconut. Beat 1 to 2 minutes, or until well combined. Fold the beaten egg whites into the batter, OR use your electric mixer on the low-speed; beat just enough to combine (20 seconds). Pour batter into prepared pans and bake 30 to 40 minutes, or until an inserted fork comes out clean. Cool before icing. Add 1-inch water to the lower pot and bring to a gentle boil. Reduce heat to low (water should be steaming but not boiling). Set the pot with the egg mixture tightly over it. Using an electric mixer, beat the mixture starting at low speed. Gradually increase speed to 5 minutes, ending at high speed. Add the flavoring (if using) when you switch to high speed. Beat until icing is stiff and easily holds its shape. Remove from heat.